A book that celebrates the marginalised throughout history. The women. The black. The brown. The queer. The trans. The freaks. Stories that give the marginalised agency, even when they’re oppressed; purpose, even when they’re condemned; existence, even when they’re ignored. I loved this anthology. I at least liked, if not loved, every single story. Every story is set in a historical time and place: parts of the Americas, Asia, Africa, Europe. They deal with real instances of marginalisation and oppression: sometimes minorities within hostile communities, sometimes systemic social oppression. In each story the characters are those whose stories have tended not to be told in Official History – at least not until the last few decades, and still slowly at that. In some cases the stories are triumphant; in some cases the stories tell of loss and woe. But almost always there’s an element of optimism, or hope. That through oppression, defiant humanity shines through. That despite others trying to remove that humanity, the marginalised know that they are human, and deserving of dignity. Even if in this instance, they’re not accorded it. 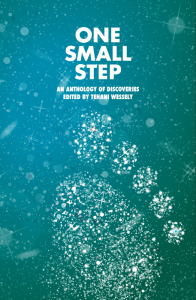 I found it an unexpectedly uplifting anthology. It reminded me of Cranky Ladies of History, for its agenda of shining light into often unlit areas of history. But the difference is that this is consciously speculative fiction about the margins. Most often that’s expressed as magical ability of various kinds, rooted in real religious systems or within individual humans; or there’s the occasional science fictional element. Sometimes it’s zombies or shape-changing, or magical/otherworldly creatures. Sometimes the speculative element is central to the story, and sometimes it’s just there, part of the world. It’s always done well. Everyone should read this anthology. What do you do when you have a major heart attack and you’re also creator/sustainer of Clarkesworld? You decide to edit an anthology. Natch. (Read an interview with Neil Clarke here.) And you decide to make the theme of that anthology cyborgs, because you are now one yourself. Thus, Upgraded. Now, before you go all ‘hmm, themed anthology’ side-eye on me, just steady on. In some stories, being a cyborg is the point; in others it is incidental. Sometimes being a cyborg is a good thing, a positive addition, welcomed. Others, it is something to be dreaded, confronted, Dealt With. Sometimes being a cyborg makes you better, and sometimes it seems to make you less. Cyborg-ness ranges from fully integrated and augmented body modifications to one seemingly small addition. Augmentation might be for aesthetics, or employment; for someone else’s sake or your own. It ranges from being socially acceptable to being almost beyond the pale. Some stories happen tomorrow, here; some of them are way over there, temporally and physically. Sometimes there are aliens. Sometimes there are robots. Sometimes they are in love stories, detective stories, war stories, family stories. Not all the cyborgs are attractive characters. Sometimes they become cyborgs before our very eyes, and sometimes they’ve been cyborg so long it’s just what they are. Sometimes they were actually made that way from the start. These stories feature men, and women, and sometimes genders are unstated. There are white characters and black characters and a variety of ethnicities. One of the central issues is that of disability, dealing with it and changing it and how those around you react to it. There’s queer and straight and none-of-your-business. Authors are from a variety of backgrounds, too. So sure, it’s a themed anthology. But this is no Drunk Zombie Raccoons in Upstate New York. This is a vibrant, fun, intriguing and varied set of stories that have a basic concept in common. The stories. Well, let me say upfront that I was so destroyed by Rachel Swirsky’s “Tender” that I had to put the book down and go to sleep. No more reading for me that night. As for the rest, here’s a sampler: Yoon Ha Lee’s “Always the Harvest” is creepy and disconcerting and sets a really great tone for the anthology – it’s the opening story – by being completely unlike any of the others. Ken Liu’s story is also deeply disconcerting because (very mild spoiler here) it is absolutely not the story you think it is. Alex Dally McFarlane does wonderful things with maps, while Peter Watts taps into the zeitgeist to suggest uncomfortable things about the military. And I have a feeling I know something Greg Egan might have read before writing “Seventh Sight” but I’m not going to mention it here because that would be way too much of a spoiler. This is a really great anthology, with stories that absolutely stand as marvellous science fiction quite apart from their brethren. You can get it from Fishpond! I gave this anthology a 5-star rating on Goodreads. I did not do this because every single story blew me away; they didn’t, although I don’t remember any story that I loathed, which is impressive in its own right. Partly I was predisposed to being impressed by the anthology because of the theme: the menial. That is, no heirs-misplaced-at-birth, no admirals or planetary governors or princesses starring here; instead, it’s the miners, the sewerage workers, the grunts who feature. Not to say that the stories don’t feature action or adventure – they do – but largely it’s action that happens in the course of everyday work, and often because of accidents: the sorts of things that you’d really rather didn’t happen. 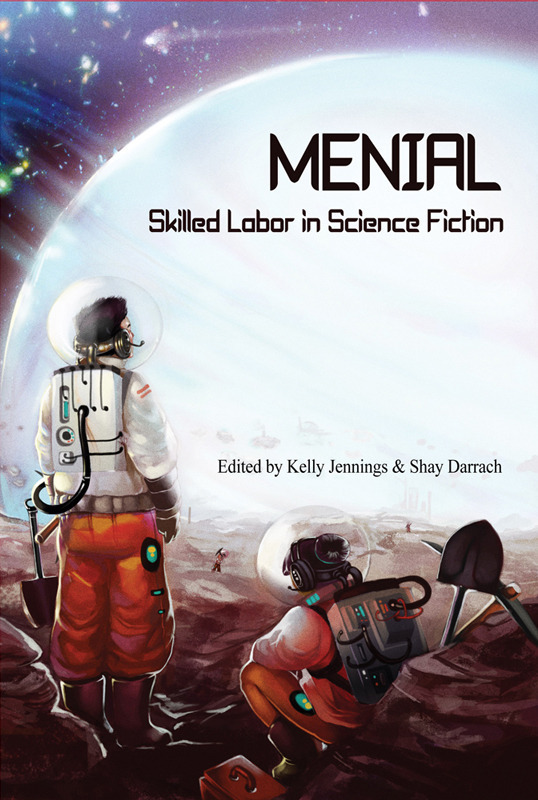 The anthology points out the dignity in the menial tasks, as well as acknowledging the sheer back-breaking work that’s likely to still be necessary in the future; it points out the importance of the menial while remembering the danger. And even though the menial workers shine in the stories, it’s clear that for most of them, this isn’t going to lead to a huge change in fortunes. It’s part of a day’s work, or it’s not but it’s not enough to propel them out of drudgery – or indeed it’s something that leads to them getting fired and the consequent uncertainty of unemployment. 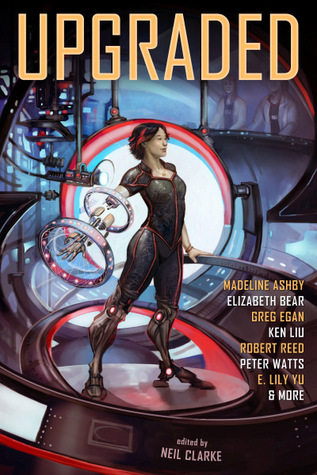 This anthology shows that good SF can be escapist in letting the reader escape from their own immediate situation, but can simultaneously speak to the reader who is unlikely to be a spaceship pilot or lead an army, but may well have a dead-end job that they hate. It can provide ways to imagine a different world but also reassure and comfort that even people in crappy jobs can actually have interesting lives, and do interesting things – something much SF ignores. This anthology imagines a range of possible futures. They’re mostly fairly far future, and involve space travel of some sort; some have humanity spread far and wide, others are a bit more restricted. Because of its focus on the working class, there is less emphasis on the political or military than one often finds in SF, because really, when you’re scraping to get food on the table who has time to worry about the expansion of the empire? Many of these stories are united in their focus on the nitty-gritty details, those details that make up the everyday. Some of them are very familiar, some are familiar but in foreign contexts, whilst others are utterly alien. And the best stories make this work in clever and occasionally utterly bemusing ways. I was initially dubious about the possibility of making an entire anthology based on the concept of skilled labour; not because I thought the concept was boring but because I wasn’t sure how there could be enough variety within that to keep having different stories. This is because I am not an author. There is, of course, infinite variety in the stories you can tell from the menial perspective – because there’s an infinite variety of stories to tell about humanity. You can get Menial from Fishpond.